The first public demonstration of a new IP block. There are a lot of unique features associated with our new SerDes. You can find a list of those at the link above and on our website if you want to learn more. What I want to discuss here is a road trip to Rome that is now winding down. 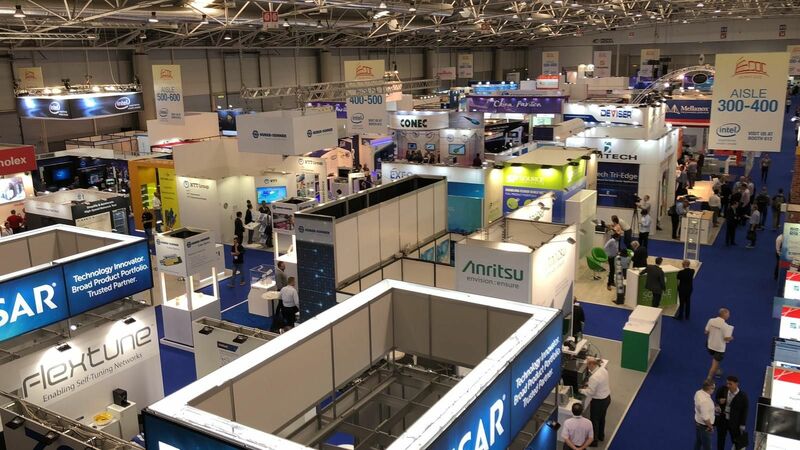 We were at ECOC ─ the 44th European Conference on Optical Communication. The topic sounds somewhat esoteric, but this is actually a very large show. If you’re an EDA aficionado, think of what the Design Automation Conference show floor looked like back in its heyday, only larger. Getting data from point A to point B is indeed big business. 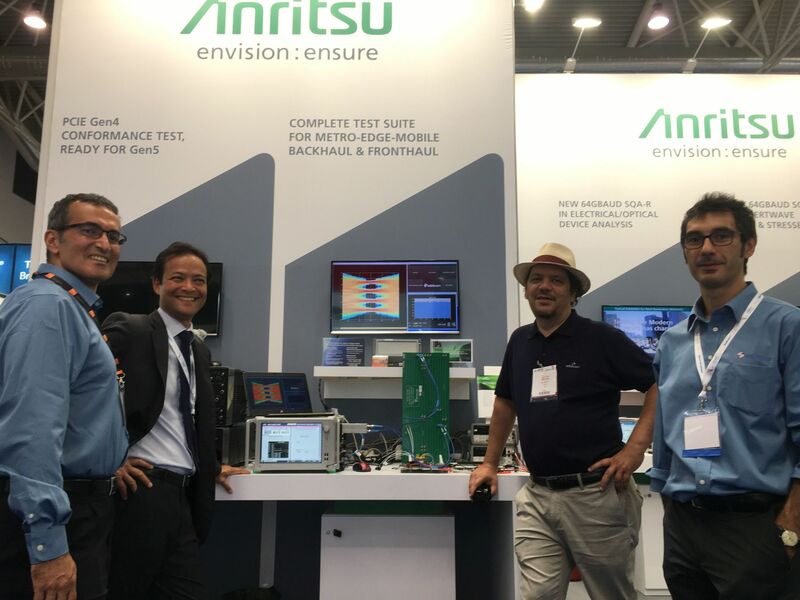 Thanks to our partner, Anritsu, we were able to demonstrate for the first time in public our 7nm, 56G SerDes live. This was a very exciting time for our team. For those not familiar with this space, Anritsu is a global provider of innovative communications test and measurement solutions. They’ve been around for 120 years (that’s not a misprint), with about 4,000 employees in over 90 countries. It seems that verifying that data gets from point A to point B is also big business. Back to the title, “eye-witness account.” Sorry, that was a misleading play on words. I didn’t actually fly to Rome to see this demo (although that would have been nice). Rather, I am reporting about the eye diagram we were able to create at the show. Eye diagrams are data traces that are used to measure compliance for high-speed serial links. An open “eye” means a stable signal with a low error rate. Newer SerDes, including ours, are no longer analog in nature. Rather, they are based on digital sampling and digital signal processing techniques. The challenge with this newer architecture is that it’s typically very difficult to construct an eye diagram without increasing the power and area of the device. However, eSilicon’s design team has figured out how to do this with NO increase in power or area. Just some of the secret sauce in the product. You can see the generated eye diagram from Rome in the photo above.